I have begun working once again on my Victorian Christmas program and checking resources. This coming week in Michigan, during deer hunting "Regular Firearm" season (November 15-30), it feels as if our mitten-shaped state should tip towards the north. Freeways during "rush hour" become less congested, students and workers take time off with or without permission, and non-hunters shouldn't look at vehicles returning south. 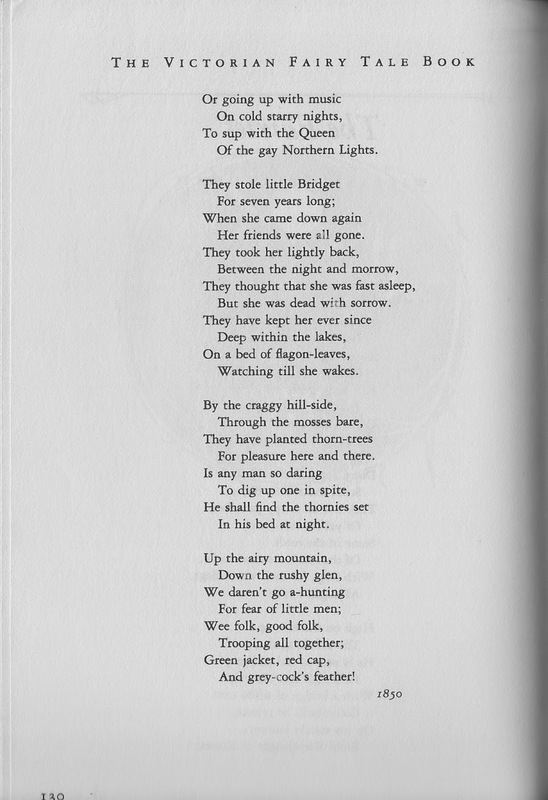 In time for all of that I discovered a Victorian poem whose opening and closing chorus have haunted me for years. (It's not Christmas, but that's the way research works . . . Serendipity!) 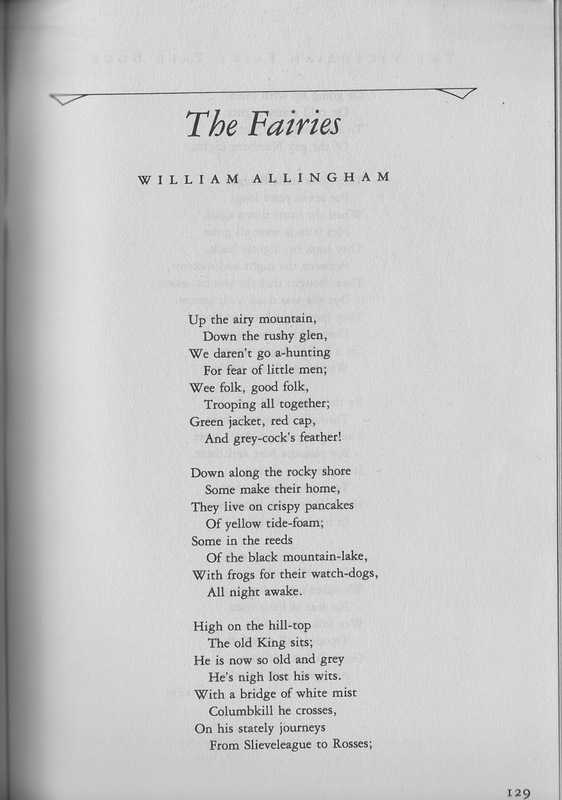 William Allingham's 1850s poem, "The Fairies", isn't our usual story for the Keeping the Public in Public Domain series. Ballads and narrative poems can become stories. Maybe you will create your own tale about how "We daren't go a-hunting for fear of little men." 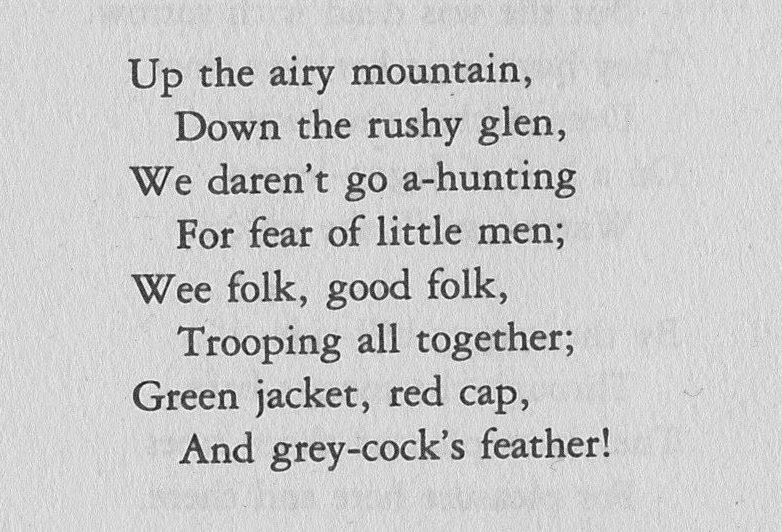 This was in the original publication of the poem in The Music Master. The heart of that story is about Bridget and re-telling it as a story could easily evoke audience participation by using the chorus throughout the story. My website has a page on Audience Participation ideas and resources if you would like to know more about ways to include participation in your own storytelling. Just think how many more people also will be haunted by that chorus! 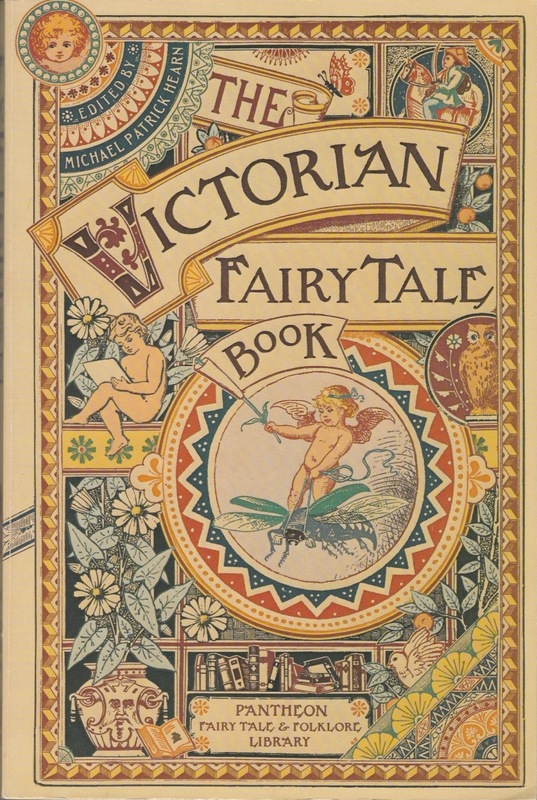 This comes from Michael Patrick Hearn's The Victorian Fairy Tale Book, part of the wonderful series, Pantheon Fairy & Folklore Library. 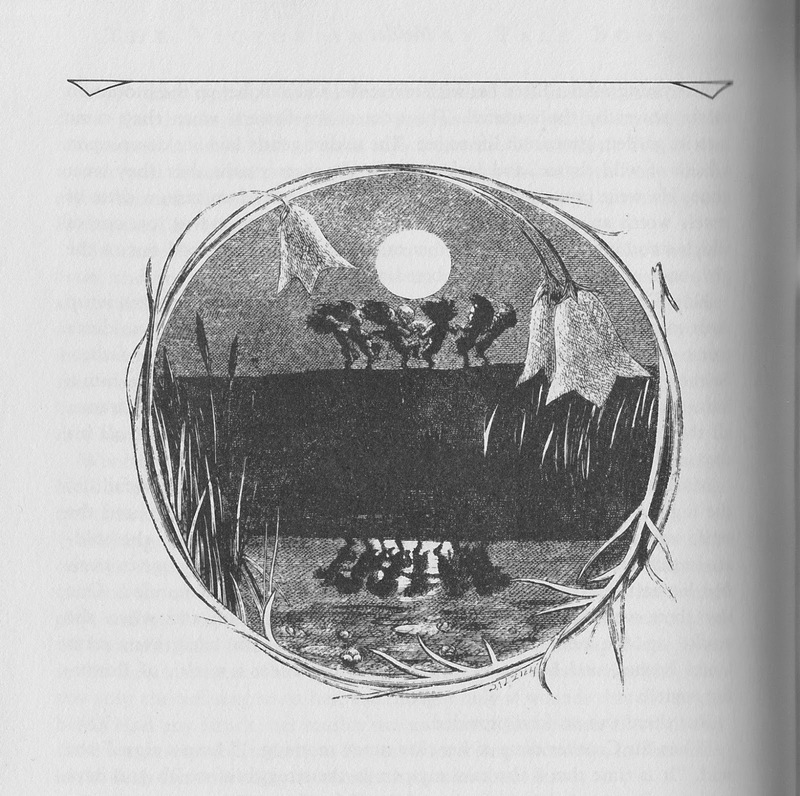 As the Goodreads website notes about this out-of-print series of 37 books: They are an excellent source for volumes of folklore from their respective cultures. I would go so far as to call them an excellent basic overview of the world's folklore. Thank heavens for out-of-print booksellers! Without antiquarian booksellers, libraries, and online preservation we would lose our cultural heritage. That's truly what Keeping the Public in Public Domain is all about, so tell stories, but also buy and borrow those old books (otherwise libraries and booksellers needing space will have to "weed" them . . . a nice way of saying they will be tossed out).